My story: I am seventeen years old, and currently studying at Enduimet Secondary School. My mother and father are divorced, and my mother is extremely poor. 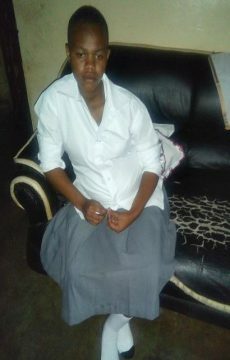 I am nine months pregnant by a teacher at my school, and I am due to give birth any day. Being pregnant has put my future at risk. If I fail my exams, I will have no way to support myself. If I pass, I do not know who will support my school fees and other basic school needs. Other girls at my school have relationships with teachers that are secret, and they are threatened with the promise of failing their exams if they ever tell anyone. With the help of Community Research and Development Services (CORDS), I revealed the truth about my pregnancy. The case has been reported to the district level for further investigation and actions, which means I will be able to sit my Form Four National Exams which I did not expect. My thoughts on the project and hopes for the future: The health club established by CORDS is provides a platform where girls and boys can learn how to protect themselves and build the confidence to report cases of abuse. The Equal Rights Project also acts as a bridge to reveal the bottlenecks that stop girls from accessing education to the fullest.